My wonderful wife noticed this in a recent flyer and peeked online. 3-cheese mac and cheese bread bowl? 730 calories, 14g saturated fat, 1g trans fat and 1,420mg sodium. Yup, that's bad, but not that bad. Is this really a Frankenfood? They're for "1 serving". 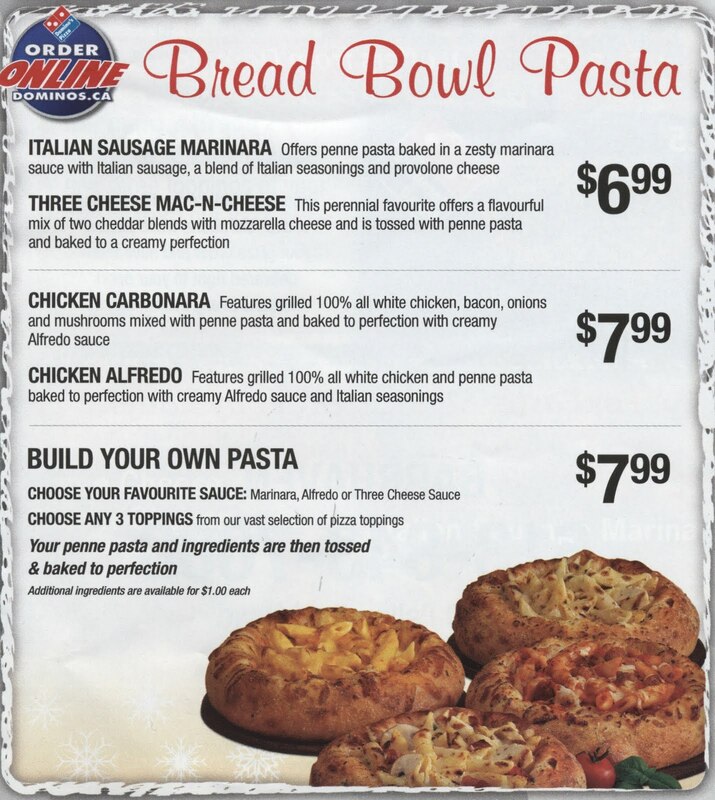 According to Domino's nutritional information chart each serving of bread bowl pasta is half a bowl. Funny, looking at the advertisement I scanned in above it doesn't mention anywhere it's meant to serve 2. What that means of course is that one of these monstrosities packs 1,460 calories, 28g of saturated fat, 2g trans fat and 2,840mg sodium (comparable to 3 Big Macs), and unlike some of the other Frankenfoods I've had on here it doesn't look or sound even remotely worth its calories.